McKeesport – Aug. 1, 2018 – State Sen. Jim Brewster (D-Allegheny/Westmoreland) said today that “The Wall That Heals” Vietnam Veterans Memorial Replica and Mobile Education Center is coming to McKeesport’s Renziehausen Park. 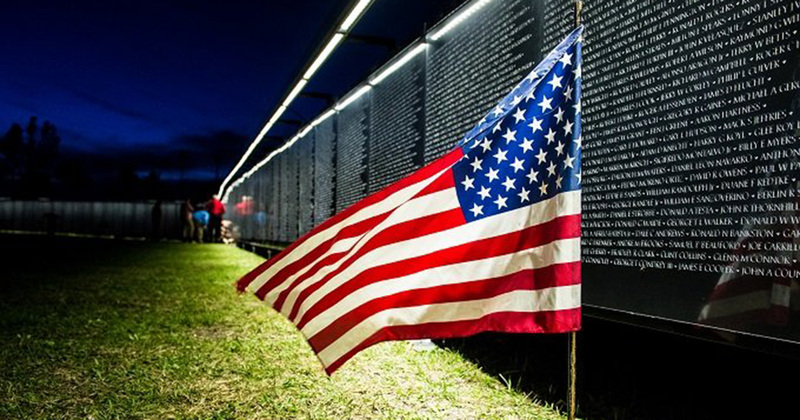 Funded by the Vietnam Veterans Memorial Fund, the Wall That Heals is a three-quarter sized replica of the Vietnam Memorial in Washington D.C. The Wall will be escorted to its place in Renziehausen Park on Aug. 7 by more than 200 motorcycle riders and police. The procession will begin at 5 p.m. at Olympia Shopping Center in McKeesport and move to the park where wall setup will begin on Aug. 8. The wall will be displayed at Jimmy Long Field in Renziehausen Park from Thursday Aug. 9 to Sunday Aug. 12. The opening ceremony will be at 6:30 p.m. on Aug. 9. At the opening ceremony, there will be a pinning presentation honoring more than 40 Vietnam veterans. Reading of the names will take place at various times on Aug. 10 and Aug. 11. The closing ceremony will be on Sunday, Aug. 12 at 11 a.m. Admission is free, and visitors are welcome around the clock. When: Opening Ceremony, Thursday Aug. 9 at 6:30 p.m.